The Bible can be difficult to understand. Books have been written about how to study the Bible. Invariably they say that you should start by trying to understand what a passage meant to its original audience, to understand their culture, their history. There are literary questions to ask: what kind of literature is this, what metaphors, allusions, figures of speech are being used? How does this passage fit in the larger context of the book? After that you move on to personal application. Given what it meant to them, what does it mean to me today? What cultural shifts do I have to make to allow the passage to speak to modern times? That’s an oversimplification, of course, but I think it summarizes what most would say about the proper way to read the Bible. I’ve taught it myself. You know there’s a “however” coming, so here it is: as I read Christians using the Bible to discuss important issues of the day, particularly on social media, I’ve concluded that the above isn’t the place to start. I think we need to start by learning to read the Bible according to the fruit of the Spirit. It’s natural to have disagreements about what Scripture says or how it is applied to certain situations or issues in modern society. But that’s not what I see happening in the public arena. I see Christians using Scripture to bash each other, to judge certain classes of sinners, to set themselves apart and keep others away, to divide, exclude, and shame. 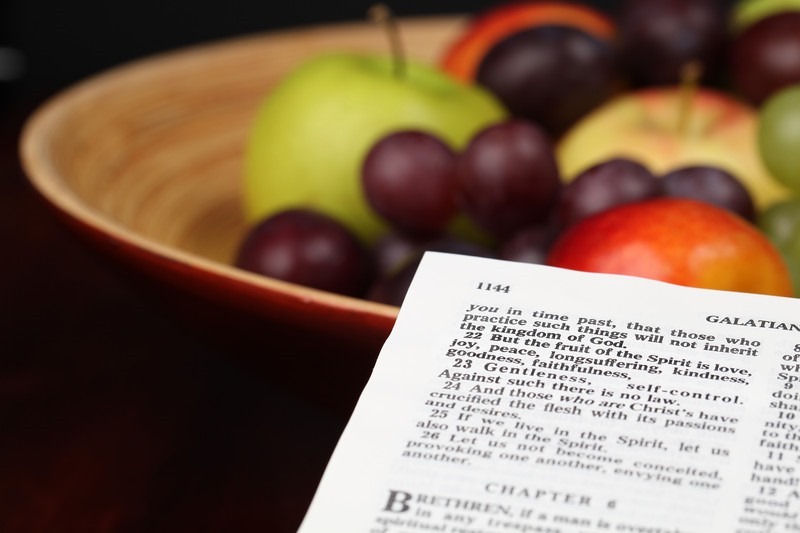 What if we instead read the Bible according to the fruit of the Spirit? Love. Paul says that if we do anything without love, including good things, we are nothing. “Love doesn’t insist on its own way,” (I Cor. 13:5) Paul says. That’s not what I hear, see or read happening very much out there. Joy. If you are angry with another person, if your goal is to defeat them, or shame them, or exclude them, please don’t bring the Bible into it. Even if your interpretation is correct, your intent will distort the purposes of Scripture. Peace. 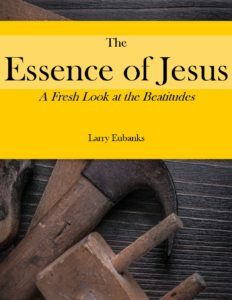 The intent of God for the world is to break down the walls of hostility between people so that there would be peace with God and peace among people. Peace doesn’t mean the absence of disagreement, it means the absence of hostility among people who disagree. Kindness. I think kindness comes from a certain sense of humility. A person who must be right all the time usually isn’t very kind to those who disagree with them, especially those whose interpretations are actually better than their own. A person who knows that they might be wrong, even when they don’t think they are, is generally quite kind in their dealings with others. Generosity. Generosity is about giving away, not taking away. When you read and use the Bible, do so to build others up, not tear them down. Faithfulness. This is a relational term. You can’t be faithful to the Bible if you aren’t faithful to one another. When a person seeks to harm me, I can’t trust them. A person who is faithful to me I know is looking after my best interests, even when they are telling me something I don’t want to hear but must. Gentleness. The opposite of bashing someone with Scripture. Self-control. There needs to be a whole lot more of this out there. How we treat others, especially those with whom we disagree, says a whole lot more than our supposed fidelity to Scripture. So watch yourselves out there; everybody else is.